1. Go to System Preferences and click Desktop & Screen Saver. 2. Click Screen Saver tab and choose your preferences. 3. 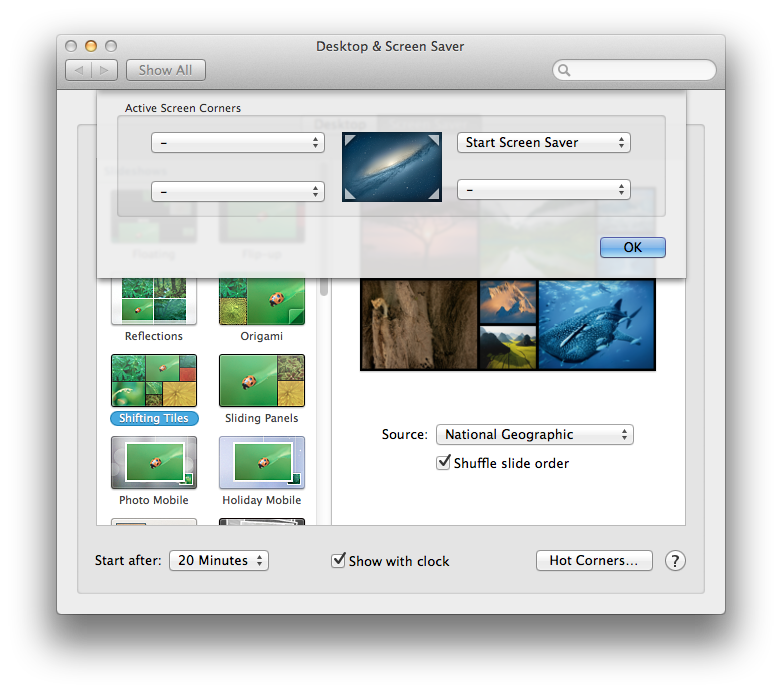 Click Hot Corners... button and then choose which corner you want to activate the screensaver. 4. Done. 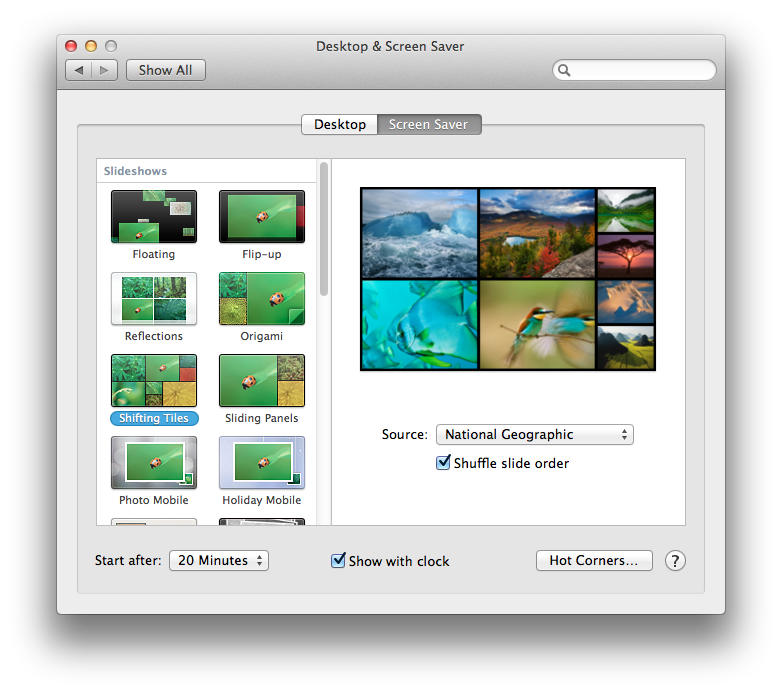 When you want to lock your Mac, just hover your mouse on the configured corners and it will auto activate your screensaver. When you wakeup your Mac from screensaver mode, you should provide your login credential. Throw your Android Phone up to earn points! What is the equivalent of ALT+ENTER in Excel Mac?